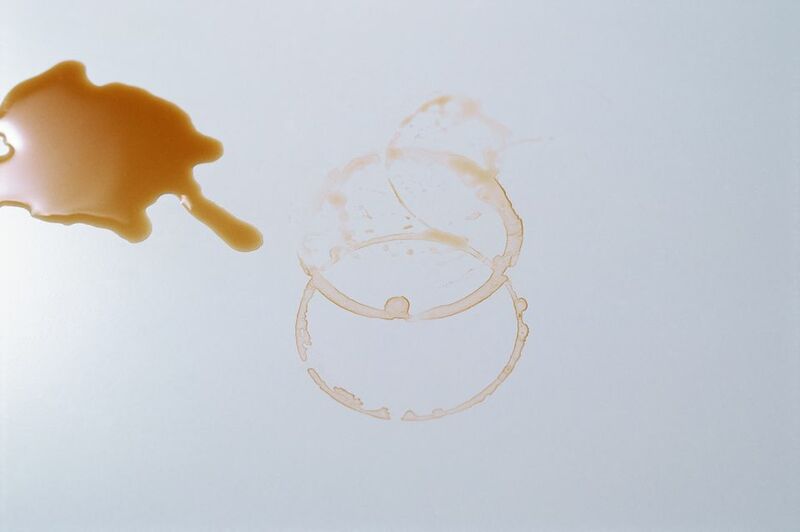 Tea stains may be light in color, but the brown discoloration it leaves on a mug, clothing, carpet, or upholstery is difficult to remove. There are several tips and tricks to getting the blotch of brown to disappear, from soaking to spot cleaning to rubbing with soap. Start with whichever method feels best for you, and if that one doesn't work, give another technique a try. The best strategy to remove tea stains from clothing is to take care of it as soon as possible—the longer it sits, the more difficult it will be to remove. Try to rinse out as much of the stain as you can, working from the back of the clothing to try to flush the tea stain off of the surface of the fabric instead of through it. Gently rub a liquid detergent into the stain. Allow the detergent to stand on the tea stain for at least 5 minutes. If the stain is old or dry, rub at the tea stain with detergent and allow the fabric to soak in cold water for 30 minutes. Rinse the clothing thoroughly. If tea traces remain, rub liquid laundry detergent into the tea stain and soak in warm water for 10 to 15 minutes. Instead of soap and cold water, you can apply a thick layer of baking soda directly to the stain while the tea is still wet. The baking soda will absorb the tea, pulling the brown color out of the fabric and into the powder. Leave it on overnight, then scrape the powder off. Most of the stain should be removed, and then you can toss the clothing into the washing machine to try to finish cleaning. For stains that are stubborn, or for thicker fabrics, soak in a solution of cold water and oxidizing stain remover (such as OxiClean,) as the product recommends. If traces of the tea stain still remain after these attempts, apply a stain remover stick, gel, or spray and let stand for five minutes before washing normally. This procedure will remove most tea stains from most fabrics. Repeated cleanings are sometimes necessary to remove large stains or those that are deeply set in. Enjoying a beverage while sitting on a couch or armchair is common, and so is spilling that beverage—either on the furniture or on the floor. But when your upholstered furniture or carpeting gets stained with tea, there's no need to run out to get special upholstery cleaner or carpet cleaner. Here is a simple method you can try using basic supplies you have in your home. Mix 1 tablespoon of dishwashing liquid, 1 tablespoon of vinegar, and 2 cups of cool water to make an all-purpose upholstery cleaner. Use a clean white cloth to sponge the cleaning solution onto the stain, saturating it thoroughly. Then blot until the excess liquid is absorbed completely. Repeat the previous steps, if necessary, until the tea stain is lifted. If these steps don't work, you can try removing the tea stain with carpet or upholstery cleaner. Rings of light brown tea stains can accumulate and make your mugs and china look dull and dirty. It's important to use natural products—such as white vinegar, baking soda, salt, and toothpaste—to remove the build-up from your mug, as you don't want to ingest any chemical residue. Mix 1 tablespoon of baking soda with a little water to make a paste. Let the paste sit for five to 10 minutes and then rub the paste onto the stains. Use a rag or a toothbrush if it's awkward to get your hand in the mug. Once you notice the mug is clean, give it a rinse and dry with a towel. First, wipe the inside of the mug with a damp cloth. In a small bowl, combine 2 tablespoons each of vinegar and salt and mix well. Pour this mixture into the mug and let it sit for 10 minutes. Using a dishtowel, rub the paste against the inside of the mug. When the stains appear to be gone, rinse the mug and dry it completely. Just as toothpaste effectively removes stains from the enamel of your teeth, it's gentle abrasives can remove also stains from dishware and other hard surfaces. Place a bit of plain white toothpaste on an old toothbrush. Brush the inside of the mug or cup until the entire surface is coated, making sure it gets into the crevices. Let sit for 10 minutes, then rinse and dry. Your dishware is now clean as new! What Is the Best Way to Remove Coffee Stains From Clothing? How Can You Remove Spinach Stains With Ease? What Are Some Common Household Uses for Dish Soap?